Coupons are a valuable tool for cutting your grocery bill, but only if you are able to find the coupons when it's time to go shopping. 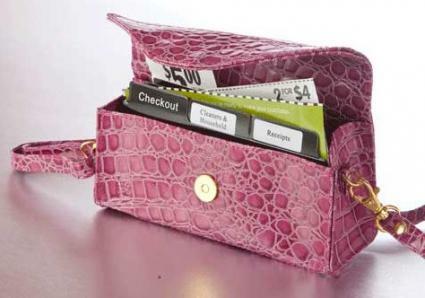 Ask almost any frugal shopper and she will tell you that a grocery coupon organizer is a necessity. The simplest ones are sometimes available at dollar stores, while deluxe couponing systems, or coveted styles, may cost up to $50. Whether you clip a few coupons each month or have or have couponing down to a science, there's a system out there for you. 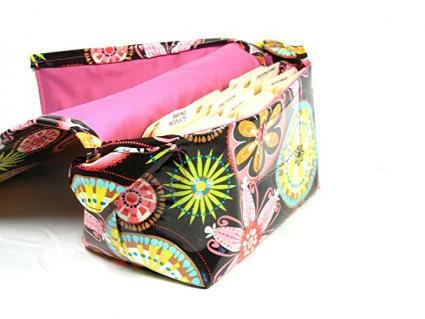 The Mega Large Coupon Organizer Holder Bag is handmade in a way that's built to last. It features a fold-over flap to keep the coupons secure when not in use and comes with 30 4"x6" dividers and over 200 assorted pre-printed peel and stick labels. For the serious couponer with a sense of style, you can choose the lining color, as well as wether you want a short strap or a long one. It retails for $24 on Amazon. Is it a purse or an organizer? The Coupon Cubby is both, and that makes it a favorite among fashion-conscious shoppers. It features a compartment for your coupons and comes with 30 tabbed dividers, and has a zippered pocket for your money, keys, and phone. It also features an adjustable carrying strap. This product retails for $29.95. The Coupon Binder is a durable zippered binder with a carrying strap and pockets galore. When opened, it lays flat and reveals plastic sleeves with multiple pockets. This organizer displays your coupons much like a photo album displays pictures. Known for its bold solid colors, this organizer also features, tab dividers an outside mesh pocket, and designated places for pens, a calculator, scissors, reward cards and more. Serious coupon clippers opt for this one because of its breadth of tools and large coupon display area. The CouponPro sells for $34.95. Never underestimate the usefulness of a simple and practical file. This 13-pocket coupon file from the Container Store has tabbed dividers and comes with label stickers. The organizer has a snap closure and sells for about $4. Go digital with apps like Coupon Organizer & Scanner or Track My Coupons. They allow you to scan paper coupons, import online coupons, and easily delete expired coupons. These are a must for tech-minded frugal shoppers. The first app is free, and the second sells for $1.99. Making your own organizer is a budget-friendly alternative that ensures you have a system designed to work with your unique organizational preferences. The type of container you select will depend largely on how many coupons you have. For a new coupon collector, an index card box may provide ample room. However, those who clip coupons for almost every product on their grocery list may find that a shoebox size container is a better fit. If you find the box system difficult to work with, try using a binder filled with various color-coded file folders. Photo albums, planners, and three ring binders may be repurposed and used for organizing coupons. Clear plastic sleeves and even zippered pockets are available for most of these binders and will make it easy to see what you have at a glance. Within each general category, sort your coupons by expiration date and/or product manufacturer. You may want to use paperclips to keep related coupons together within a category. There is no law that says you must take all your coupons to the store. One option is to write your list on an envelope and place the coupons you need for that particular trip inside the envelope. Try organizing your coupons according to the layout of your grocery store, rather than food groups. Some find this method to be a real time saver when they shop. Everyone's needs are different, so continue fine tuning your system so that it works best for you. Couponing can take some effort, but it certainly can be worth the savings.